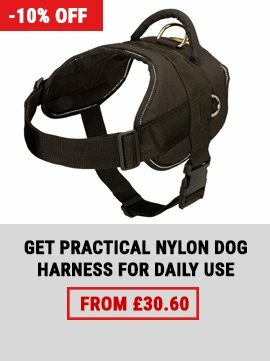 Would you like to change your dog's style? 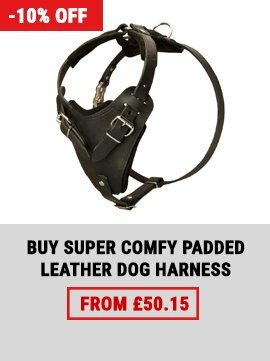 Are you looking for extravagant dog accessory? 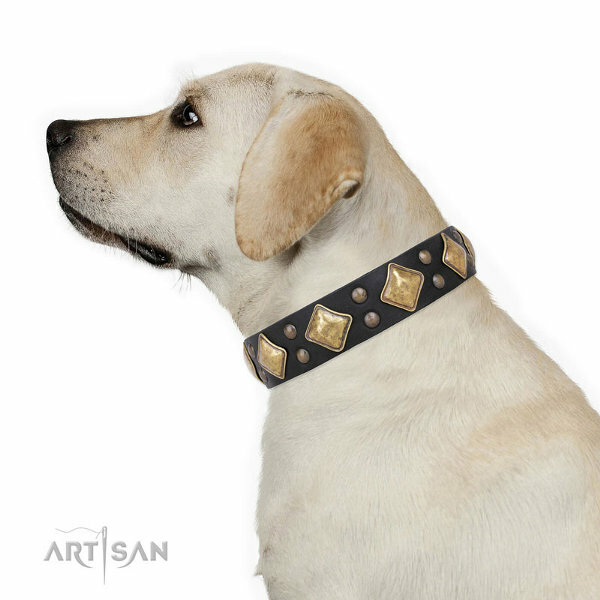 Where to buy a dog collar of rich design at attractive price? 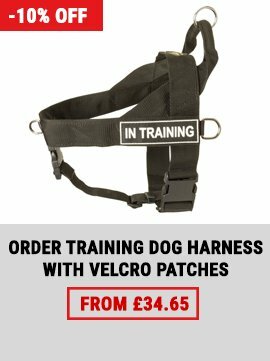 You have already found it in our online dog store! This black leather dog collar with old bronze-like large diamonds and tiny studs has exquisite look and is very practical at the same time! This is the very collar you have been searching for, isn't it? This black dog collar is of premium quality, which is provided by full grain genuine leather. It won't cause rubbing, allergy and discomfort, being absolutely safe for your dog's health. Leather is wear-proof and strong. It will resist strength of your powerful dog. You will be impressed with the collar processing! The decorations will lay emphasis on your dog's majesty. They won't become rusty due to special plating and won't come off because of secure riveting. 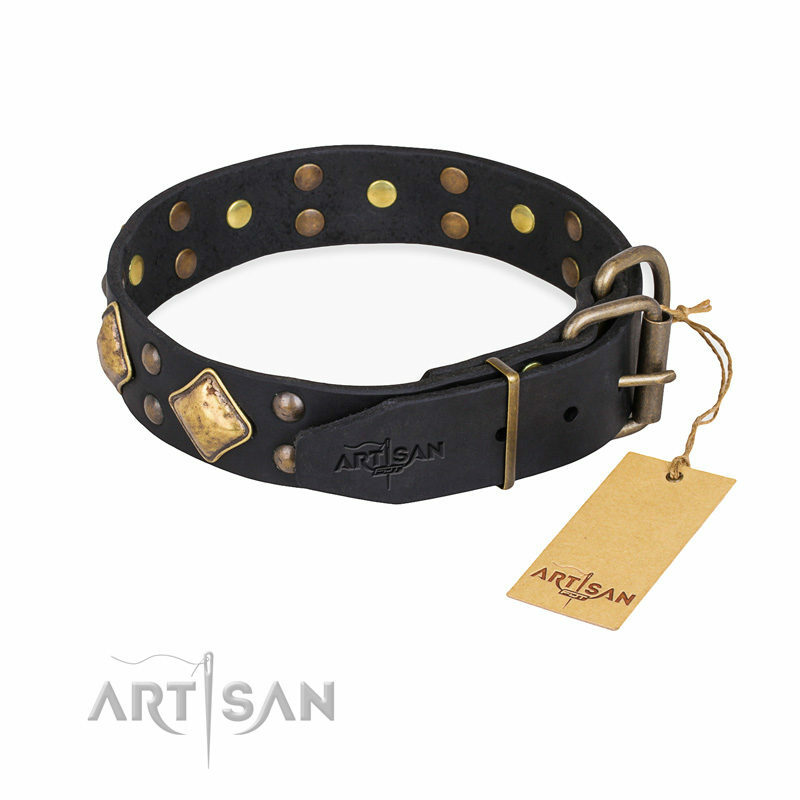 Massive buckle and welded D-ring are intended for handy use of this black leather dog collar. They are break and rust-resistant. 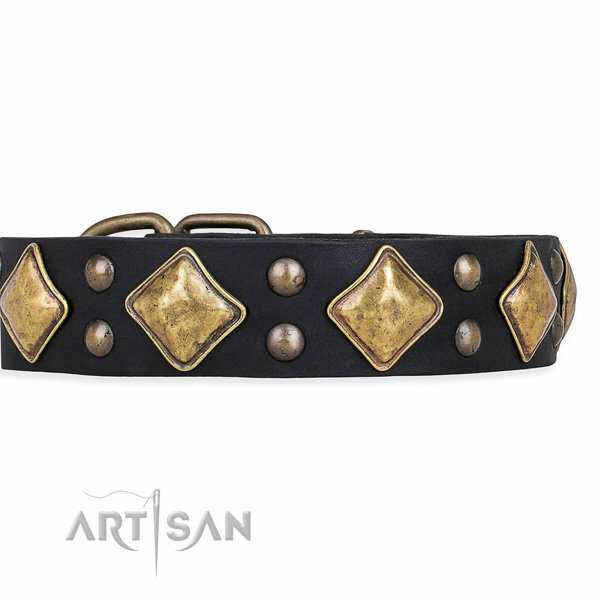 This Artisan dog collar is also available with silver-like decorations.